In the world of front-end development frameworks Bootstrap offers the most resources (articles and tutorials, third-party plug-ins and extensions, theme builders, and so on) and this is the main reason people continue to choose it. 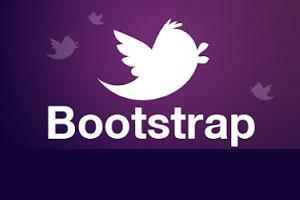 Bootstrap is an open source, collection of tools for creating websites and web applications. One of the main strength of Bootstrap is its huge popularity. Bootstrap is the most popular front-end framework and the most popular project on GitHub. Bootstrap saves you time by using predefined design templates so you can concentrate on other development work. Bootstrap is easy to use allowing you to easily create responsive designs. This means the layout of web pages adjusts dynamically, taking into account the characteristics of the device used (desktop, tablet, mobile phone). Bootstrap components share the same design templates and styles so the design and layout of your website are uniform and consistent. Bootstrap is compatible with all modern browsers: Chrome, Firefox, and Internet Explorer. Providing style definitions for all key HTML components, reducing browser inconsistencies. Bootstrap is open source, free to download and use. Bootstrap offers many more resources (articles and tutorials, third-party plug-ins and extensions, theme builders, and so on) and this is the main reason people continue to choose it. Bootstrap tutorial with hundreds of examples. Bootstrap, the most popular front-end framework for developing responsive, mobile first projects on the web. Bootstrap Magic lets you easily create your own Bootstrap theme. Bootstrap components written in AngularJS - Accordians, Date Picker, Time Picker, Modals, Pagination, and more.